Nomad, Max. Masters - Old & New. Edmonton. Black Cat Press. 1979. Octavo. Soft cover. First edition. Fine copy. Nordenholt, George F. Handbook of Mechanical Design. New York. McGraw-Hill Book Co. 1942 (1995). 277 pps. 4to. Soft cover. Reprint. Illustrated. Fine copy. Nordin, Donna. Contemporary Southwest. The Cafe Terra Cotta Cookbook. Photo available. Berkeley. Ten Speed Press. 2000. Octavo. Hard cover. First edition. Illustrated in black, white and color. Fine copy in fine dust jacket (in mylar). Nordskog, Andrae B. (1885- ). Spiking the Gold, or Who Caused the Depression and the Way Out np. Gridiron. 1932. 122 pps. Octavo. Hardcover. First edition. Very good copy. Light shelf wear, some red inking. Norma, A.V.B. The Medieval Soldier. New York. Barnes & Noble. 1993. Octavo. Hardcover. Reprint. Illustrated. Fine copy in fine dust jacket (in mylar). Norman, Philip. Elton John. Photo available. New York. Harmony Books. 1991. Octavo. Hard cover. First edition. Illustrated. Fine copy in fine dust jacket (in mylar). Norman, Philip. Shout! The Beatles in Their Generation. New York. Simon and Schuster. 1981. Octavo. Soft cover. Illustrated. Very good copy. Light shelf wear. Norris, Chuck. 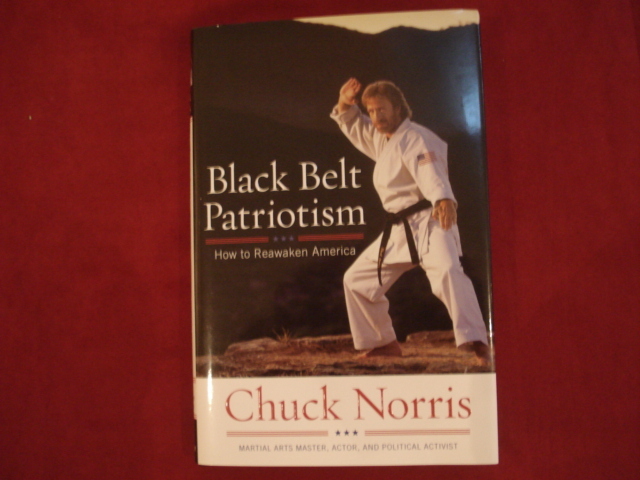 Black Belt Patriotism. How to Reawaken America. Photo available. Washington. Regnery. 2008. Octavo. Hard cover. First edition. Illustrated in black, white and color. Fine copy in fine dust jacket (in mylar). Norris, Floyd. The New York Times Century of Business. Photo available. New York. McGraw-Hill. 2000. 4to. Hard cover. First edition. Illustrated. Fine copy in fine dust jacket (in mylar). North, Arthur. The Supreme Court. Judicial Process and Judicial Politics. New York. Appleton-Century-Crofts. 1966. 221 pps. Octavo. Soft cover. Fine copy. North, Gary. The Coming Mutual Fund Meltdown. Baltimore. Agora. 1996. Octavo. Soft cover. First edition. Fine copy (owner blind stamp). North, Mark. Act of Treason. The Role of J. Edgar Hoover in the Assassination of President Kennedy. New York. Carroll & Graf. 1991. Octavo. Hardcover. First edition. Illustrated. Fine copy in fine dust jacket (in mylar). Northcutt, Wendy. The Darwin Awards. Evolution in Action. New York. Dutton. 2000. 327 pps. Octavo. Hardcover. Reprint. Fine copy in fine dust jacket (in mylar). Norton, Kenneth . My Life with Audree. Inscribed by the author. 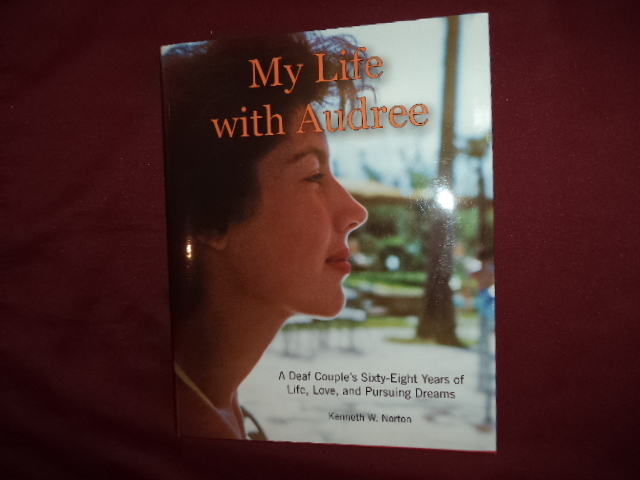 A Deaf Couple's Sixty-Eight Years of Life, Love, and Pursuing Dreams. Photo available. np. Stern Grove Press. 2016. 124 pps. 4to. Hardcover. First edition. Illustrated in black, white and color. Important reference work. Inscribed by the author "Kenneth Norton '45 2017". Fine copy in fine dust jacket (in mylar). Norwood, Robin. Letters from Women Who Love Too Much. A Closer Look at Relationship, Addiction and Recovery. New York. Pocket. 1988. 352 pps. Octavo. Hardcover. First edition. Fine copy in fine dust jacket (in mylar). Nostradamus. Nostradamus and The New Millennium. A New Guide to The Great Seer's Prophecies. np. Carlton. 1998. 128 pps. 4to. Hardcover. First edition. Illustrated in color and black & white. Fine copy in near fine dust jacket (in mylar). Nostradamus. Nostradamus and The New Millennium. A New Guide to The Great Seer's Prophecies. Photo available. np. Carlton. 1998. 128 pps. 4to. Hardcover. Reprint. Illustrated in color and black & white. Fine copy in near fine dust jacket (in mylar). Notlep, Robert. The Autograph Collector. A New Guide. New York. Crown Publishers. 1968. 240 pps. Octavo. Hardcover. First edition. Illustrated. Fine copy in near fine dust jacket (in mylar). Novick, Sheldon M. Honorable Justice. The Life of Oliver Wendell Holmes. Boston. Little, Brown and Company. 1989. 552 pps. Octavo. Hardcover. First edition. Illustrated. Fine copy (small owner inscription) in fine dust jacket (in mylar). Novitski, Jospeh. A Vineyard Year. New York. San Francisco. 1983. Octavo. Soft cover. First edition. Illustrated in black, white and color. Fine copy. Nowell, Irene. Women in the Old Testament. Collegeville. Liturgical Press. 1997. Octavo. Soft cover. Fine copy. Noyes, Alfred. Voltaire. Photo available. New York. Sheed & Ward. 1936. Octavo. Gilt decorated hard cover. First edition. Illustrated. Fine copy. Nuland, Sherwin. How We Die. Reflections on Life's Final Chapter. New York. Alfred A. Knopf. 1994. 280 pps. Octavo. Hard cover. Reprint. Fine copy in fine dust jacket (in mylar). Nuland, Sherwin. How We Die. Reflections on Life's Final Chapter. New York. Alfred A. Knopf. 1994. 280 pps. Octavo. Soft cover. Reprint. Fine copy. Nulane, Sherwin. Maimonides. New York. Nextbook. 2005. Octavo. Hard cover. First edition. Fine copy in fine dust jacket (in mylar).